What you will do if just want a personal-szied pizza? Order a delivery? Go out and buy yourself a slice or turn on your conventional oven and wait for 40 minutes? None of them seems to ideal for a hungry, impatient and lazy me. Hence I barely have pizza at home. 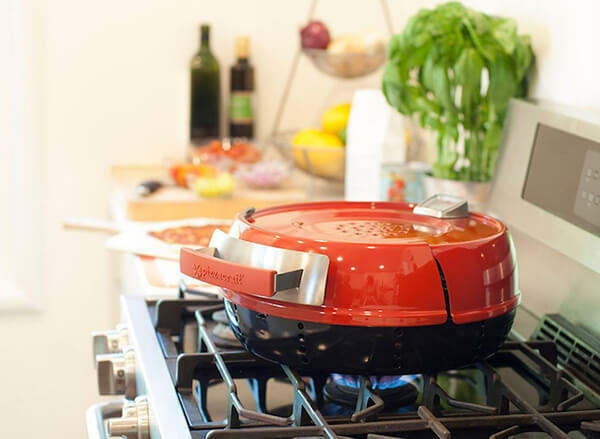 However, Pizzeria Pronto Stovetop Pizza Oven is designed to make people like me can enjoy pizza at home. 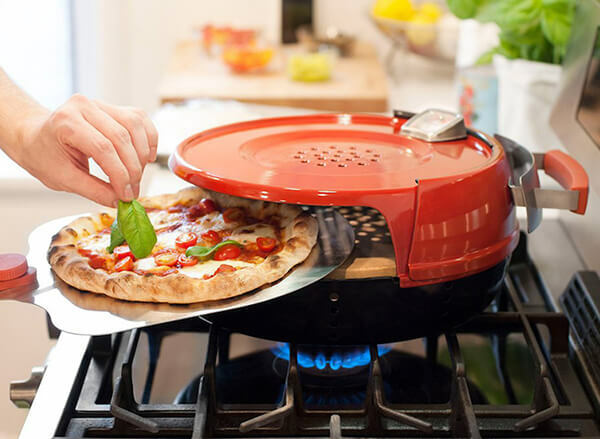 Give it 15 minutes, and this portable kiln—which reaches 600 degrees Fahrenheit— turns almost any gas range into a pizza oven that’ll cook your favorite cheesy pie in just six minutes. It is really easy to use. 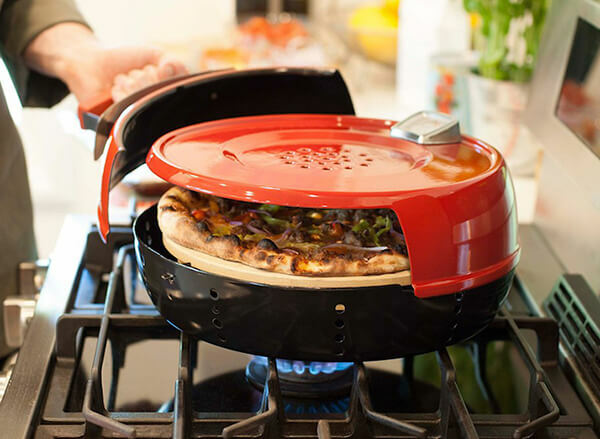 Just put Pizzeria Pronto on your gas stove and turn your burner to high. Pizzeria Pronto’s dual cordierite stones will absorb heat from the gas flame and evenly distribute the energy throughout. The oven also features a built-in thermometer to let you know that it’s time to cook, and a moisture vent at the top to prevent the pie from becoming soggy. Sounds pretty good right? You now can order it from Amazon. What a perfect gift for pizza lover.